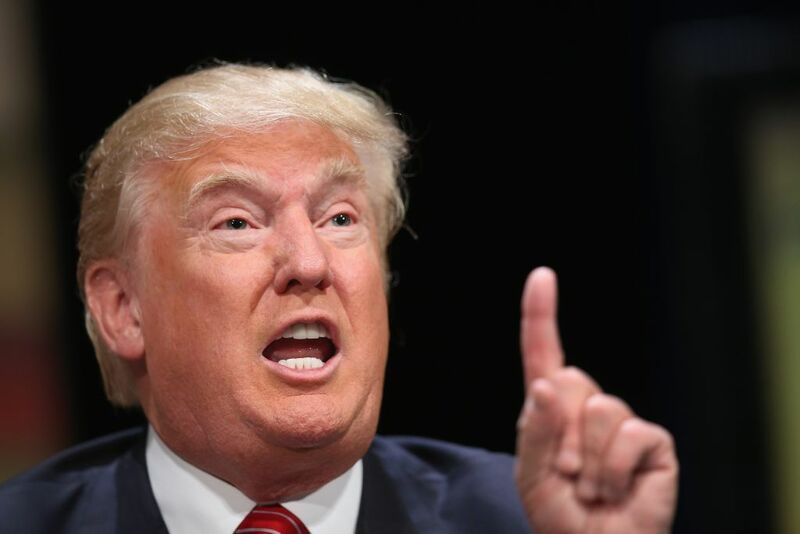 Republican presidential contender Donald Trump appears to be the closest to realism in terms of IR-theory. It is funny to notice that the nominee, who is apparently the "craziest" in the public's perception, proposes ideas that are correctly situated in the realist school of international relations, which is the most respectable. How is it that we can we say this, and what is the reason that this has happened? As a scandalous billionaire, Donald Trump is often seen as an eccentric celebrity. Until recently, nobody really believed that he could become the Republican nominee. Now things are changing. Trump is leading in the race for the Republican nomination with 39% supporting him. His closest rival, senator Ted Cruz, only has 18%. The time has come to seriously examine the political program of the leading republican candidate. There is the time to ask the question: "what is his preferred political philosophy?" The answer is shocking: He is a realist. He has probably never read Hans Morgenthau, E.H. Carr, or John Mearshimer. It is likely he has never heard of them, but to be a realist you should think as realist, not simply read the realist authors. Realist political philosophy is based on certain principles that appear to be very close to Trump’s heart. Realism is based on the presumption that human nature is evil. Thus, the natural state of individuals, left to their own devices, is anarchy, violence, egoism, and a will to satisfy their own material needs at the expense of others, which are the causes of all the factors in this "war of all against all". This is the reason that realists believe that the main purpose of statehood is based in the need for security and a strong power that maintains public order. They know that human is a wretched creature and promote immoral Machiavellian vision of politics. It is likely that Donald Trump never believed in "human nature". His stance in business and now on political issues is often just called "cynical". A man who established a university in his own name, which appeared to simply be a fraud, cannot believe in human goodness. Trump's vision of world politics is deeply rooted in his business experience, a field where war is imminent and where only egoistic interests are viable, and where the state does not generally interlope. His shocking rhetoric is based on these assumptions. The main goal of the state is internal stability, and it is not important what kind of political regime exists in the country. It is a pure and simple a realist approach. This is why Trump considers that external interference in countries like Libya or Syria only aggravate the situation and leads the Middle East to havoc. Trump's view is that if Gaddafi and Hussein were still in power, and if Assad were stronger, the Middle East would be more stable. It is common sense, but for more than twenty years, the US 's foreign policy has been conducted by people who support a different, liberal approach - the so-called democratic peace theory, based on the principle that only global democratic changes can bring peace and stability to the whole world. The policy of regime change clearly led to chaos and the spreading of terror, and maybe this was the aim of American elites, but it is not the aim realists always argued for. According to realists, the stability of the world system is based on the principle of the balance of power. There are traditional spheres of influences of world powers and their interactions decide the future of the world. The same approach is demonstrated by Donald Trump. His slogan “Make America great again” means to make America one of the leading world powers. The burden of global hegemony is too heavy and it threatens to destroy the country; Trump demonstrates a willingness to change the system and to share it. For example, during the Greek crisis he insisted on not interfering in the European matter and leave it to Germany. Trump also proposed to support the Russian involvement in the resolution of the Syrian crisis and its military activities against ISIS. This is not the neo-conservative imperialist vision of America as only one world hegemonic power, neither is it the liberal globalist dream of America as a backbone of the "Brave New World". It is the view of the US as nation-state with its own national interests. And its main interest is the preservation of the people and their identity, which forms the nation. Instead of projecting power onto the whole planet, Trump urges for a focus on American problems, for example on immigration. The nation-state, from the realist point of view, is the main actor in international relations. Why is the problem of immigration from Latin American countries is so important for Donald Trump and not for the other candidates? The reason is that immigration can really change the face and the identity of American society, the structural basis of American national state. His arguments may be awful, but Trump appears the only candidate (except Rand Paul), who defends the vision of the US as a nation-state, and this is an entirely realist perspective. For both globalist bosses, neo-conservative and liberal alike, American people are only a tool to achieve their global goals, the identity and ethnic composition of the country means nothing for them. Their America is not a particular nation-state with its own traditions, identity, history, but rather the core of the global transnational system. Apropos the issue of Trump's non-hawkish attitude towards non-liberal regimes, the difference between liberalism as a political ideology and liberalism as an approach in IR theory should be mentioned. You can be liberal in the first sense and at the same time be realist regarding international relations. Trump supports Putin or Assad not because of ideological affinity, but because in his vision they bring stability to the world order and it is in the interests of the US. The same is with his perception of China. Russian-Chinese rapprochement is dangerous in his vision for the whole world system, because it can produce an imbalance. From the realist point of view the state is absolutely sovereign, i.e. has no institution over it which may be able to limit its freedom of action or make it take into consideration anything, except the national interests. The national State is governed by the political elite (the "Prince") working on the basis of efficiency that takes into account, primarily, the national interest. So foreign lobbies, traditionally powerful in American politics, are seen as an unwanted factor. Prominent American neo-realists John Mearshimer and Stephen Walt are known as strong opponents of the Israeli lobby. Their core argument is that the policies that the lobby pushes are not in the United States' national interest, nor ultimately that of Israel. How did Donald Trump manage to become a realist? This is not the right question. The question, really, is why did the classical realist approach become marginal in the American political elite? Realism is based on common sense and a pragmatic, rational, and modernist vision of human nature. It is natural for anybody who has a power. If Trump’s argument is deemed to be eccentric, it means that there are problems with the consciousness of the American establishment and filled with myths and liberal dogmas… or it means America is ruled by somebody else, who represent another group, but not the US. The basic distinction that marks realist political thought is not the moral dichotomy between good and evil, but a Schmittean distinction between friend and enemy. Evil Empires have no place on the realist map. A former foe can easily become an ally and vice-versa. The approach presumes that for any state there are no eternal friends and enemies, roles can change; only interests are more or less permanent. This approach that seems to be so tough is in fact more flexible then narrow-minded American liberal exceptionalism.